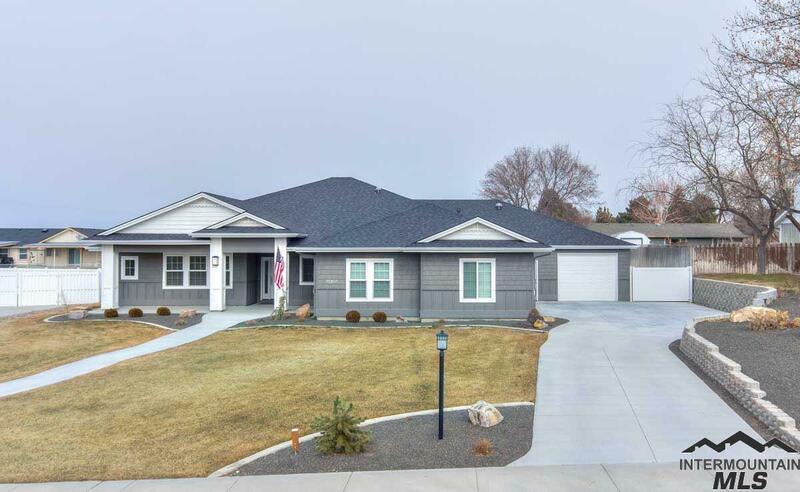 All Caldwell homes currently listed for sale in Caldwell as of 04/21/2019 are shown below. You can change the search criteria at any time by pressing the 'Change Search' button below. If you have any questions or you would like more information about any Caldwell homes for sale or other Caldwell real estate, please contact us and one of our knowledgeable Caldwell REALTORS® would be pleased to assist you. "Beautiful estate w/ endless possibilities for the gentleman farmer, equestrian, event venue or vineyard! This 360 view property has it all w/motocross track, mature landscaping, a guest home & bunkhouse; Home is energy efficient-double sheetrocked walls, insulated floors/interior walls & doors, water to air heat system, travertine, custom tile, floating kitchen floor, solid wood easy close cabinets, minibar w/fridge, intercom system, lighted standup crawlspace, safe rm area, man cave, theatre s"
"Brand new 2x6 custom quality construction, Must call for Amenity Sheet Includes 8.5 Acre parcel and 3.5 Acre Parcel." "Remarkable, custom built luxury / smart home with views. 4bd, 4.5bth, with large office on 4.97 acres. 2 Master suite, One is ADA Compliant and would make a wonderful mother-in-law quarters. Home boasts, hickory floors through-out, Large master with private deck w/views, Heated tile floors w/ rain shower in Master bath, One of a kind In home Theater , Sound proof, 4k projector, Hot tub, Security system, RV Parking, 3 bay outbuilding w/elect ,Daylight basement with full wet bar, room for shop an"
"This home is a contemporary beauty on farmland with two 2-car garages. Inside you will find a contemporary farmhouse theme with beautiful Kitchenaid appliances upstairs, custom cabinetry throughout, floating shelves, barn doors, two huge sliding doors (one upstairs, one downstairs), large decks to sit out and enjoy the mountains without back neighbors. Downstairs features a full kitchen with whirlpool appliances, a gym, a family room, a theater room, a second laundry room, 2 1/2 bathrooms, and 3"
"Incredible spacious home with 5.6 acres in a quiet country setting. 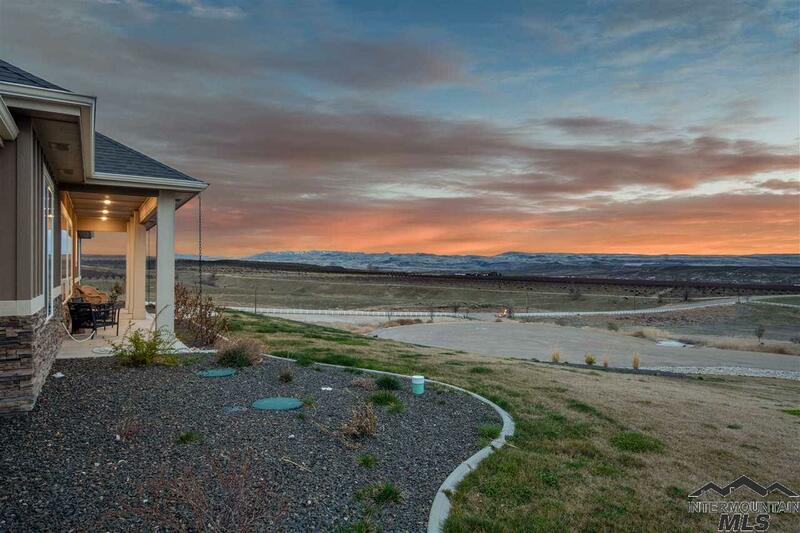 Property sits on the sloping hills right in the heart of the Snake River Wine Region with beautiful views of the Owyhee Mountains. Home features 2nd kitchen, huge master suite w/huge closet, walk-in shower & separate deck, large main deck, hardwood flooring. Lot features include 36x36 barn w 24/36 2nd floor framed, 3 covered stalls, private paved driveway. Survey available. Buyer to verify all information.Home & Property being s"
"Stunning 2 story home sits on a secluded 4 acre lot at the end of paved driveway w/park-like setting. A splendid entryway with custom-made curved staircase welcomes you & your guests along with several large windows and natural lighting. Many new and upgraded features in the last year including new roof, new int and ext paint, new carpet, hardwood sanded & refinished, new light fixtures, updated door handles/knobs. Appliances, furnace & AC updated in 2009. Stamped patio to enjoy view of Emmett "
"Come home to luxury living and beautiful views in this gated community. Custom built homes by Larry Richardson Construction are true quality. 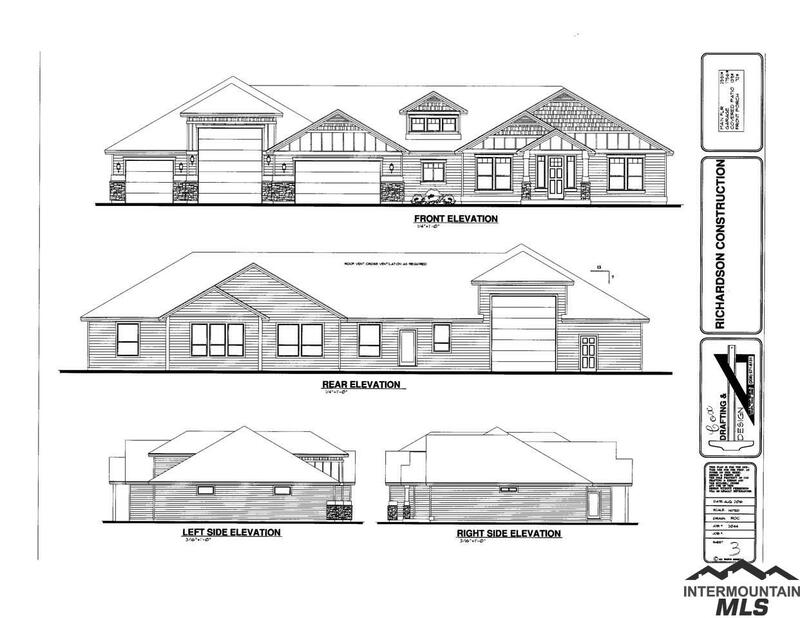 Bring your own plan or we can help plan your true one of a kind custom home with you. 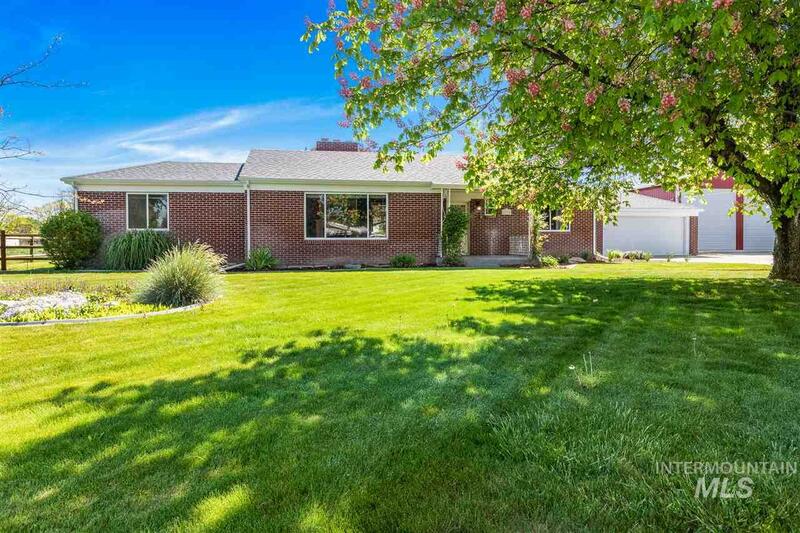 Community enjoys views of the Owyhees, Lake Lowell & the Boise Front. Plenty of room for horses, RVs & toys. Close to the lake & easy commute to shopping, dining & entertainment. 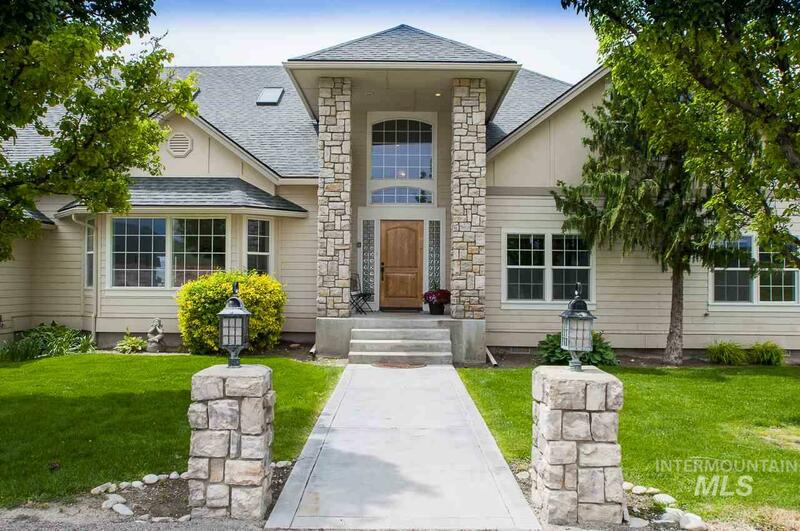 Realize your dreams today with a Larry Richardson Construction custom home in this scenic com"
"Set in the heart of Canyon County's Wine Country, this custom creation is featured in one of Cotner Building Company's premier 1-Acre subs, Shiraz Pointe." 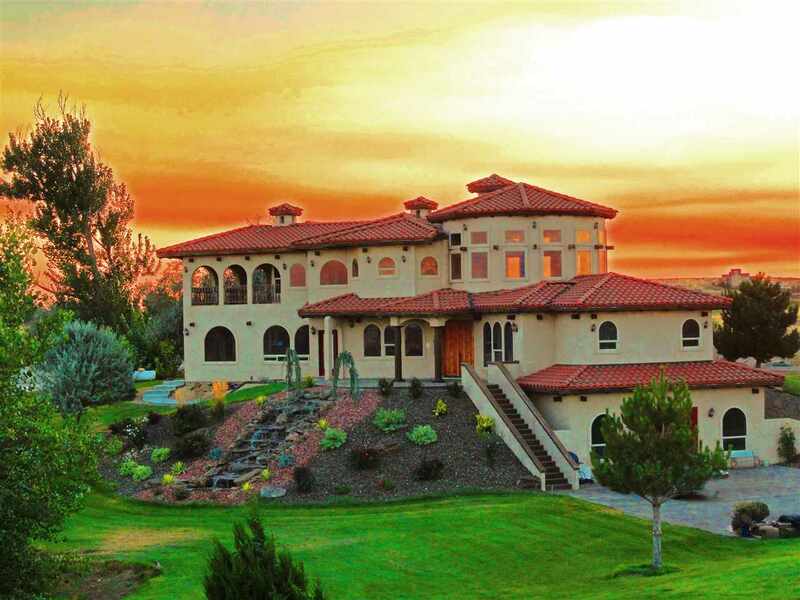 "This beautiful 3.98 acre estate with Outstanding Panoramic views of the Boise Mountain Front and the Owyhee's has everything you would ever want in an upscale county home! Custom interior finishes throughout w/ granite, tile, hardwood, & built-ins. Luxurious master suite with dual-sided fireplace and spectacular views! Separate office, huge bonus room with attached oversized 4 car garage. RV parking with room to build detached garage, barn or horse arena. Gorgeous park-like yard with flowers, fr"
"Gorgeous Home sits on 5.74 acres. Beautiful custom corian countertops, base, window & door trim throughout. Corian showers, coat racks, sinks. 6 bdrm, 3.5 bath w/4 separate living rooms. Large storage room. The best view of the Owyhee Mountains, Bogus & Squaw Butte. Room for a shop - horse barn w/tack room. Roof & siding 5 years ago. Pastures are fenced. Bring your livestock. Mature landscaping. Way to much to mention see doc tab for more information." "Impeccable home on .82 acres. Large rooms, RV Garage, Workout Building (or shop), work shop, huge covered patio and all this in addition to the like new home. Large rooms, with 2 living rooms and an office/den. Every inch of this property is groomed and landscaped with ease of care in mind. Outdoor living with huge patio area adjoining other buildings. 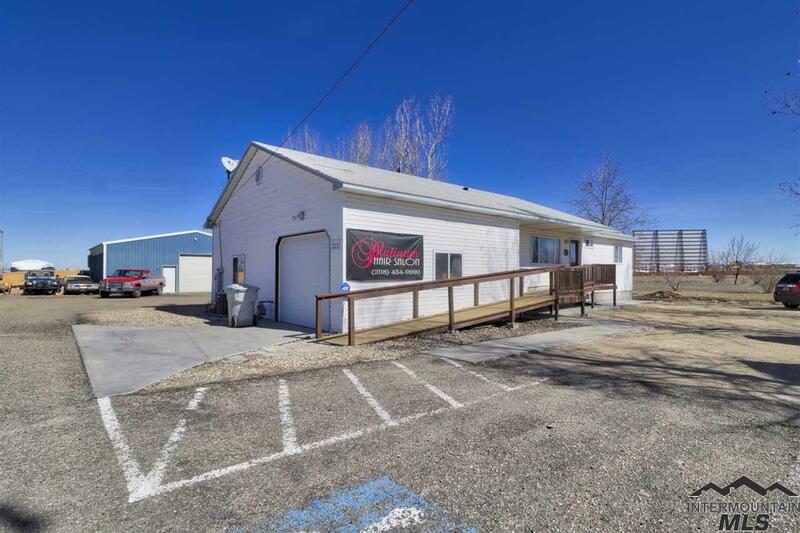 Heated and air conditioned shop and RV garage. RV/Shop 44X20! Circulating hot water, softener, humidifier and more." "This custom builder s home boasts exquisite detail throughout! The main living area features a custom coffered ceiling, upgraded carpet, brick fireplace w/ built-in entertainment center and shiplap wall. A chefs kitchen offers 2 sinks, deep cabinets & drawers w/ soft-close hardware, 2 large walk-in pantries, and a 6-burner gas stove with 2 convection ovens! Master suite offers a grand bathroom w/ dual vanities and walk-in closet & shower. 5 car garage equipped w/ bathroom, 44' 5th bay, LED "
"Easy access COMMERCIAL acreage! Tons of possibilities with this rare commercial find. Currently salon and auto shop with two separate living spaces. 30x40 Shop includes car lift and studio apt or office. Main level of home includes handicap access and tenant lease. Basement apartment is 2 bedroom 1.5 bath has been completely renovated this year. Dual road access to Ustick with high visibility. Business not for sale." "2 Great homes on approx. 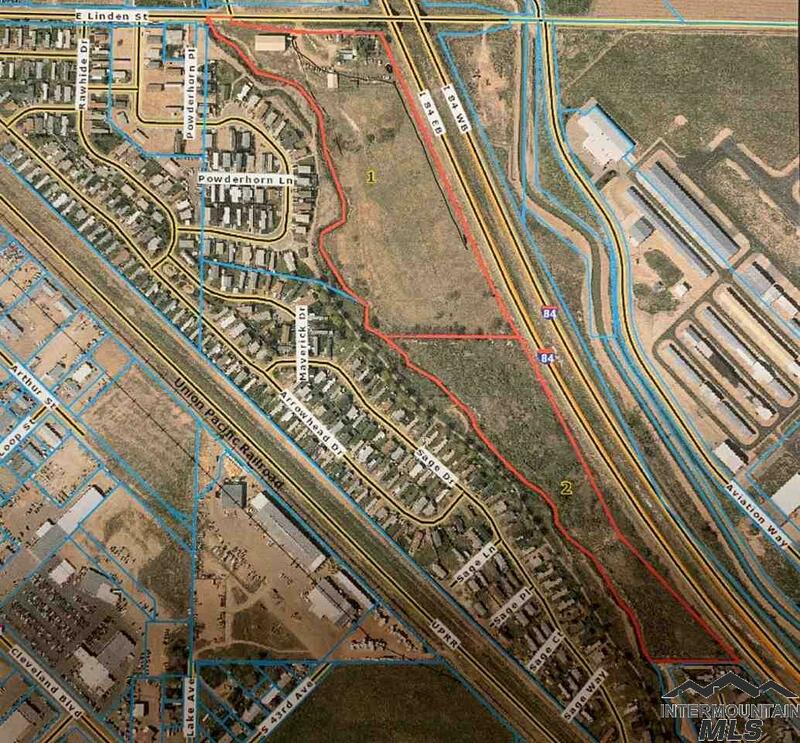 2.63 Acres on the edge of town! Country living! covered front porch, 24 x 32 shop, covered parking, storage shed, & a fenced pasture! Very well maintained and several recent updates including granite counters, Jenn-air stovetop/oven, fridge, exterior paint, heat pump, roof, plumbing fixtures, led lighting and more! See listing for 16365 Linden for details on the 2nd home. $575K includes both homes & 2.63 acres." "2 Great homes on approx. 2.63 Acres on the edge of town! Attractive Single level home with a huge open great room design! Several recent updates including laminate flooring, kitchen appliances, heat pump, new windows, added insulation,etc. Country living at its best with a nice pasture area, extra room for parking, a chicken coop, a large storage shed with electricity & best of all you can choose your neighbor! See listing for 16361 Linden for details on the 2nd home. 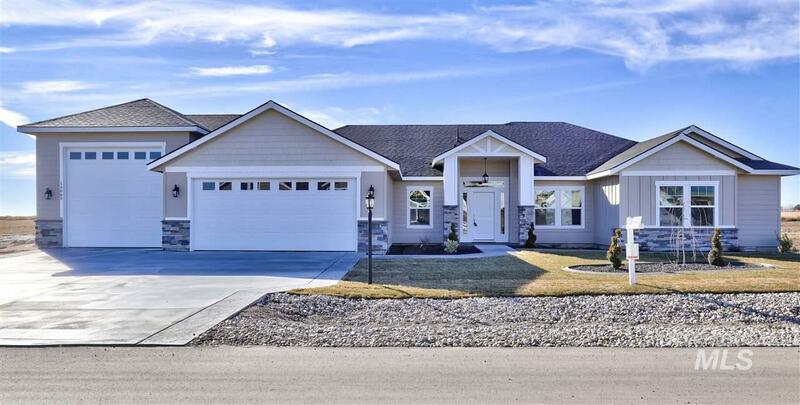 $575K includes both homes "
"Welcome to Purple Sage Estates located in the Middleton School District across from Purple Sage Golf Course! 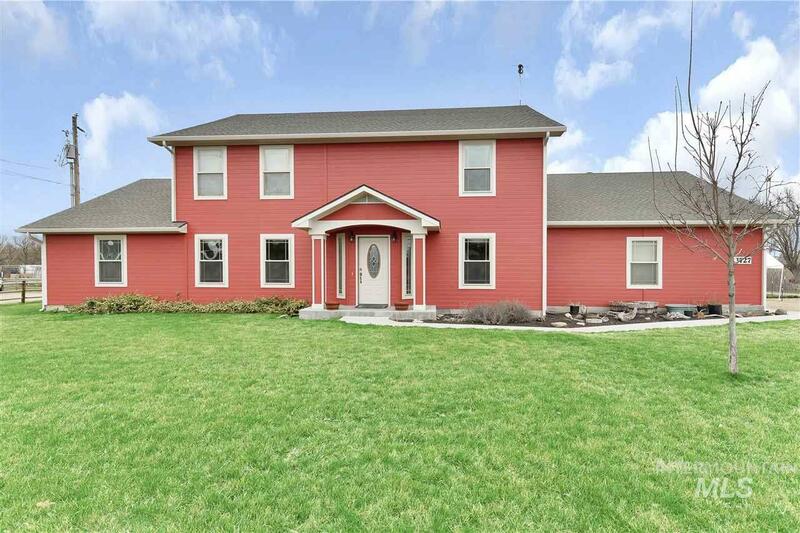 This gorgeous house features 4 bedrooms 2 full baths & 2 half baths. Amazing walk-in closets & double vanities. Spacious gourmet kitchen opens to a beautiful great rm. 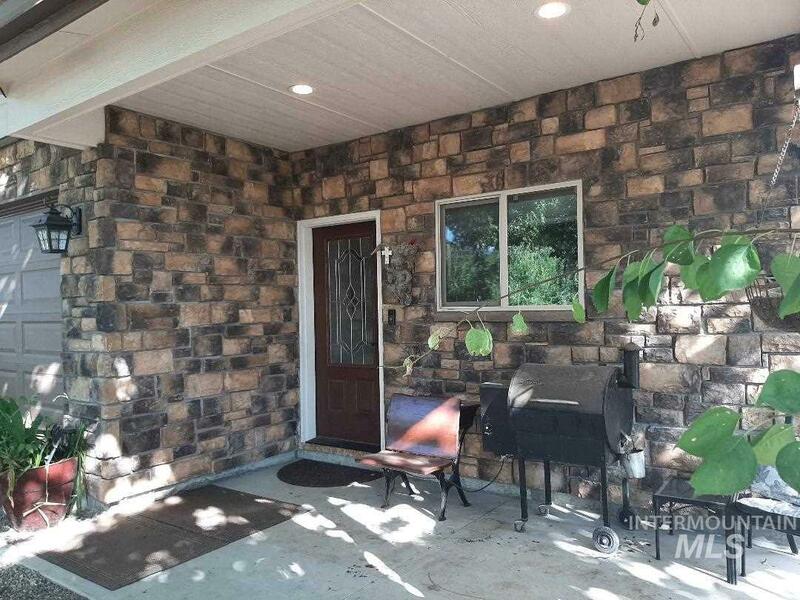 Stainless steel appliances, granite counter tops, pantry, 2 car garage plus RV space on a half acre, beautiful deck w/covered patio & finished daylight basement, stamped & stained concrete, storage for mower." "Situated overlooking wine country, this stunning 4 bedroom, 2.5 bath, 3 car garage, single story home has it all. 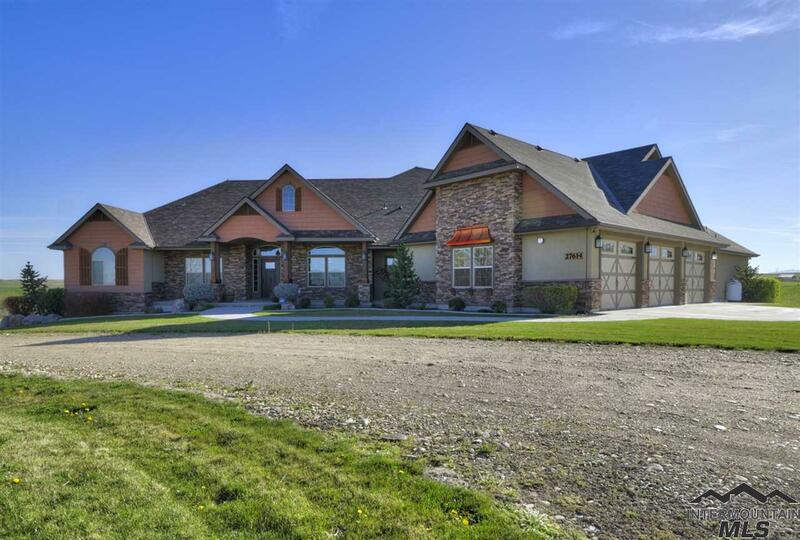 Gorgeous unobstructed views, quality finishes, and small acreage. Multiple shop plans already drafted and approved. Master bath with soaking tub and tall ceilings throughout. Above the home is a great area to build an outdoor kitchen with views of the valley. Plenty of room to park your RV, trailer, or toy hauler. May have horses if you choose." "4+ acres good for the horse person, the cow person or the person that just wants some elbow room. Nice 4 bedroom, 3.5 bathroom on over 4 acres. Home has a wood stove down stairs and a propane fireplace on the main level. 2 Kitchens, Large 35 X 60 shop/barn with concrete floors & insulated with bathroom and washer and dryer hook ups. 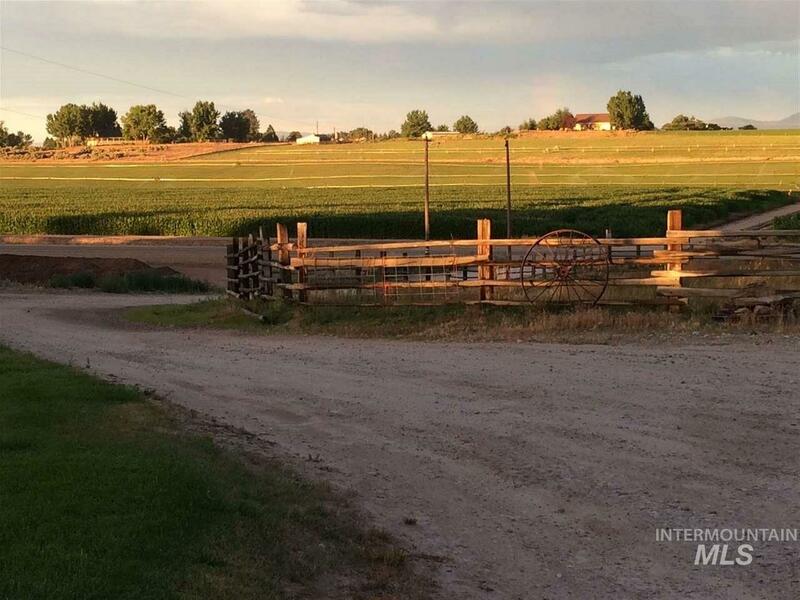 Acreage has gravity flow gated pipe for irrigation and can be used for horses, cows, farming, or ??" "Beautifully updated horse property close to town. This home has room for everyone! Outside has room for your large animals, dog run and a great garden space! This home has been completely updated with re-textured walls, ceilings, new windows, interior and exterior doors, all new HVAC including ducting, heat pump, and AC, updated bathrooms, kitchen, flooring, interior/exterior paint and roof. 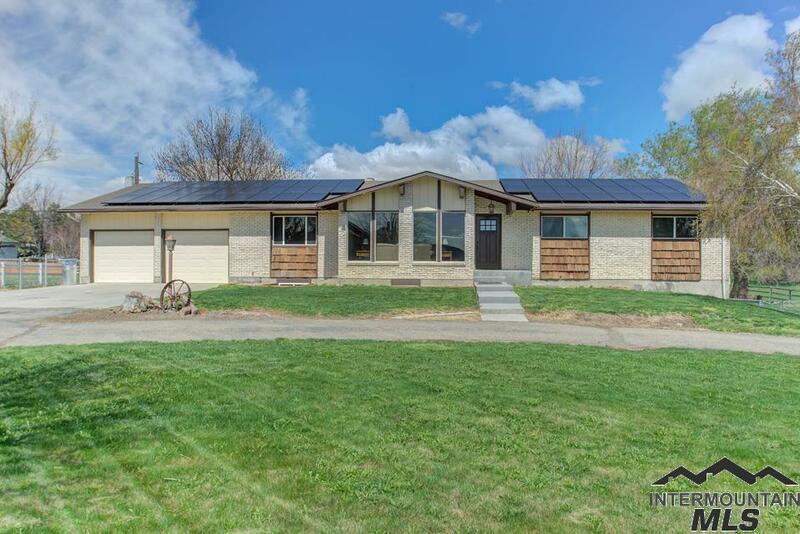 This home is all electric and has extremely low electric bill due to the new solar panels and 90% led lig"
"Want room to spread out, easy access to everything, plus a country setting? This is it!! Spacious kitchen w/breakfast bar & dining nook, large walk in pantry w/coffee shelf. Master suite w/ his & hers closets, shower of Sun Valley cultured marble & 2 shower heads! 2 beds up w/ Jack & Jill bath, plus open loft. Zoned heating & whole house humidifier. Champion Windows. Large metal shop w/ electricity & wood stove is insulated." 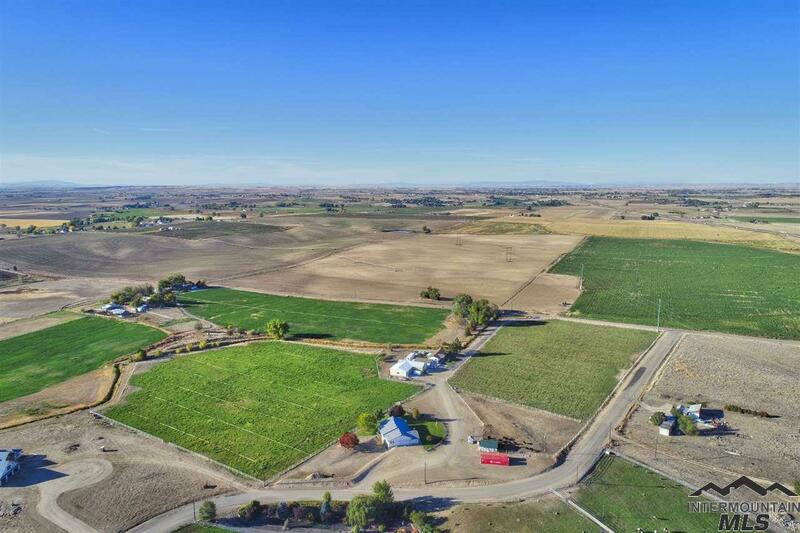 "This 5.01 acre parcel includes a nice older 2072 SF home with 2.5 acre irrigated pasture, a 1.5 acre equipment yard and a 1 acre farmstead. In addition there are 2 large shops. Shop#1 is 40x60 with 16' doors, 18' clear span, pellet/wood/oil heat. 360' mezzanine, 120'utility bay and a 20x60 covered work area. Shop #2 is 26x56 with a 14' door, 16' walls and has electrical, water and sewer stubbed to the building. Note, shop #2 is demised for living quarters." "Completely renovated & conveniently located near downtown Caldwell. This beautiful horse property features original hardwood floors, new tile flooring, custom cabinets w/ soft close in kitchen & master bath, new carpet, freshly painted & so much more. The 48 w X 52 l shop has three 14 tall doors, each w/ garage door openers. Two oversized horse stalls are 12 X 12 , the 3rd stall is XL & 12 X 16 . 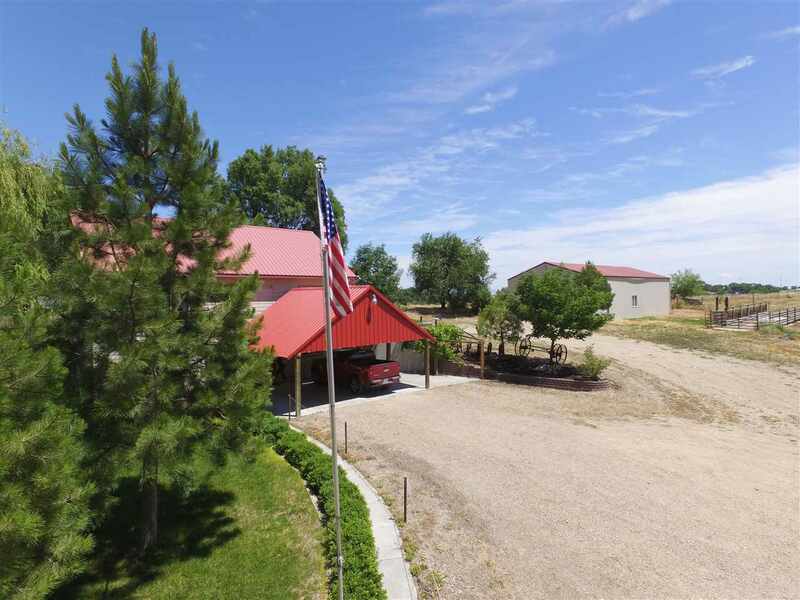 There s a fully fenced, sand & dirt riding arena that is about 100 "
"This gorgeous home greets you with vaulted ceilings and large windows bathing the main living room in light. The large kitchen features granite tile, updated cabinetry and a large dining/eating space perfect for entertaining large parties. This house has a large 1.21 acre lot with irrigation available. A large covered patio perfect for summer entertaining. The upstairs has 4 rooms including an optional bonus room if you desire. Fresh interior paint in 2015 and new water softener in 2017. Large 3"